Being alert to the signs and symptoms your car may need brake service in Burke, VA is the best way, along with following your manufacturer's Factory Scheduled Maintenance, to ensure your vehicle is operating safely and your brake system is fully responsive. Over the long run, preventive maintenance and regular brake service saves Burke, VA, motorists time and money. Your last brake inspection was more than a year or 12,000 miles ago. When you brake the pedal moves closer to the floor, responds more slowly, and may feel soft or spongy. Stepping on the brake pedal is harder, requires more pressure, and the pedal goes to the floor. Brake service for Burke, VA, vehicles is crucial to keeping you and everyone around you on the road safe while you drive. If your braking capabilities are compromised in any way the problem will only deteriorate without professional inspection and necessary brake repair. In Burke, VA visit the well-qualified factory trained technicians and ASE-certified mechanics at Wiygul Automotive Clinic. Our Goodyear Service Center team is qualified to work on all types of drum brakes, calipers, rotors, shoes, pads, and lines to ensure you get the comprehensive brake service in Burke, VA, you need to drive with safety and confidence. Preventative maintenance helps prevent costly and dangerous breakdowns, parts replacement and automotive repairs. The maintenance recommendations for new cars, the foundation of the manufacturer's warranty, protects your vehicle against defects over a specified time or mileage if the vehicle receives the scheduled maintenance. 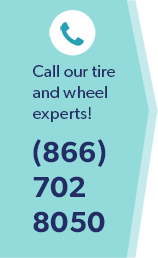 For brake service in Burke, VA, and quality automotive maintenance and repair, make Wiygul Automotive Clinic your local Goodyear Service Center.